Home / News / How Mobiles on EMI Can Keep You Out of Trouble? 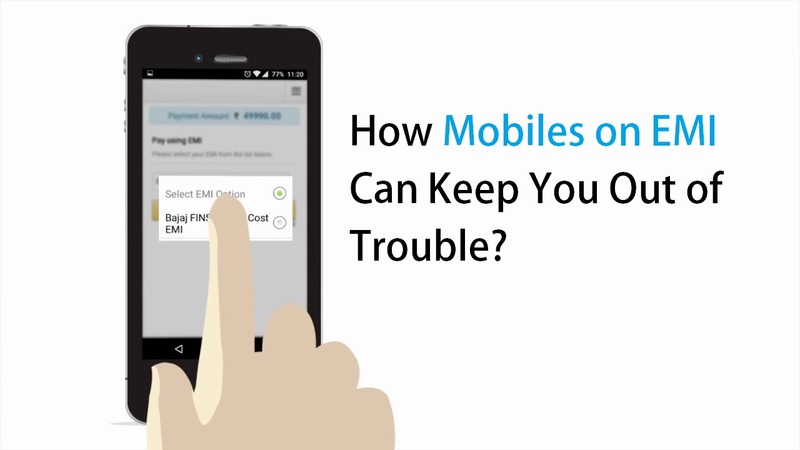 How Mobiles on EMI Can Keep You Out of Trouble? We all love mobile phones and gadgets. In today's generation, all we want is to lead a luxurious life with our bank account oozing with cash. But this thought is far from reality for a normal human being. we all want to own a classy multi-featured phone that we see in malls or while shopping online but we run out of our resources and feel disappointed. But it is time to go crazy as because in such troubled time your favorite mobile phone can be yours with the help of little or even no money with the concept of EMI on mobile phones. Mobile phone on EMI can save as from burning a hole in our pocket as we only have to make minimal payments every month as compared of a lump sum payment. EMI on the mobile phone can help us pay for the expensive products that we have purchased in parts. High-cost phones can be up the sleeves with a minimum rate of interest and flexibility of paying back the amount in certain fixed tenure of years. After all these points you seem to be curious about grabbing your favorite mobile phone. Hold on! wait! But Before getting your new phone, you might be interested to know how to avail the option of getting the EMI. A certain percentage of interest is charged by the respective bank to undertake EMI on the mobile phone. The EMI is calculated on the basis of monthly reducing balance. Oh no! But I don't have a credit card then how could someone avail the EMI? Don't be disheartened life is full of options. The monthly EMI would be debited via Electronic Clearance System from the bank account of the availing customer. The minimum amount required to avail EMI on the mobile phone without the credit card is 4000. Now it seems you won't disappoint your dear ones. Go grab your favorite mobile phone on EMI with hassle free process and minimum documentation. Did you find this blog absorbing? Do Let us know through your valuable comments. If you enjoyed this post, I might be very obligated if you'd facilitate it spread across the world by emailing, or via sharing it on Twitter, Instagram, LinkedIn, or Facebook. Thank you!